Spring brings the beginning of garden season and a coming abundance of produce from the homestead: fruits, berries, vegetables, and nuts but also eggs and other dairy products. At times you might feel overwhelmed with the glut of fresh food all at once. What do you do with it all? One of my husband's favorite uses for the abundance of eggs we have in the spring is angel food cake. I don't make it nearly as often as he'd like, mostly because I HATE cleaning the pan. You can't grease it or the cake batter can't grab the sides of the pan and climb to the heights expected of angel food. You can't soak the pan after baking because it's a two-piece pan that allows water to escape. You have to use a two-piece pan or you'll never get the cake out in one piece. And on it goes, my litany of excuses. I admit, it's a great use of eggs though. And after you make an angel food cake and have a dozen or so egg yolks left over, you make noodles. Right? So I started thinking of other cakes that use up some of our excess. Other than angel food, I like making cakes occasionally. They're relatively easy to whip up, and they are a nice change of pace for using up some of our seasonal abundance. They are also free of artificial colors, flavors, and preservatives. Let's start off with that adored-by-my-husband angel food. Quinn from Reformation Acres has a delicious recipe that her husband's grandmother used to make. This Berry Swirl Angel Food Cake uses a dozen eggs in the cake and more in the meringue frosting, and fresh berries as well. Hubby would love this with strawberries. I don't hate bundt cake pans quite as much as angel food cake pans. 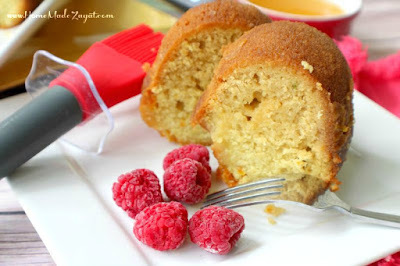 Chris at Joybilee Farm even gives tips on how to buy a bundt cake pan in her recipe post for Maple Apple Bundt Cake. This cake uses apples (slightly soft and shriveled apples that were kept over the winter are just fine), maple sugar and pecans that might come from your homestead. 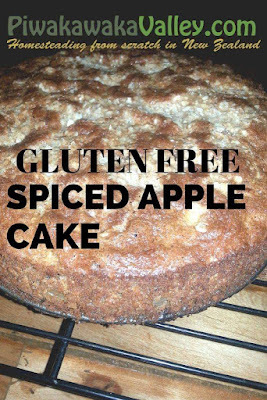 This Spiced Apple Cake from Piwakawaka Valley in New Zealand can be made gluten free or not; Dana gives substitutions for both the regular flour and the oats that are used in the original recipe. Dana even baked this cake in her woodstove but there are oven-baked directions as well. 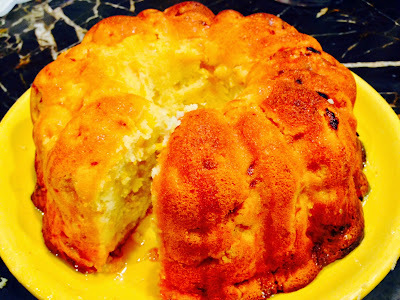 Katharine at Home's Cool uses pumpkin and pecans in her Pumpkin Upside-Down Cake. You can substitute pineapple and maraschino cherries for the pecans if you'd prefer a more traditional upside-down cake. While you might not have citrus fruit on your homestead unless you live in Florida or California or some other warm-wintered place, this Citrus Rum Cake from Renz at Homemade Zagat looks scrumptious. The only rum is in the glaze. While Lori at Frog's Lily Pad recommends Georgia peaches in this Peach Cake with Peachy Cream Cheese Frosting, Oklahomans will probably use Stratford peaches. I can't wait until they're ripe in a few months. This peachy frosting looks amazing too. Richi at Three Friends and a Fork recommends Alabama's Chilton County peaches for this Peachy Keen Glazed Pound Cake. This cake uses plenty of butter and eggs and, of course, peaches. Sometimes (most of the time) I really wish I had a dairy cow so we could have as much butter and cream as we could ever want. I'm going to finish up with another recipe from Quinn at Reformation Acres - her Strawberry Chamomile Cake. This white layer cake is moist with the addition of a bit of chamomile tea, and strawberries are included in both the cake and the frosting. It's pretty enough for a tea party or a summer picnic. 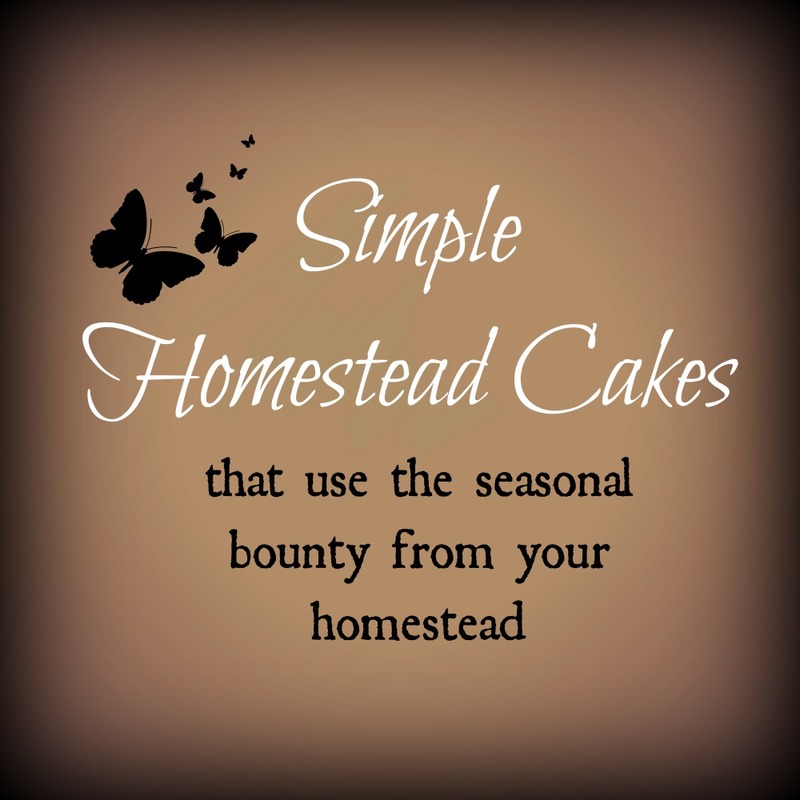 Quinn has written a cookbook called Cake Stand, Fresh From the Market Farmstead Cakes (affiliate link) with thirty made-from-scratch cake recipes using seasonal and good-for-you ingredients. All of these luscious cake recipes contain good-for-you ingredients and no artificial flavors, colors or preservatives. You can feel good about occasionally serving cake again. This post contains an affiliate link. You can read my full disclosure here. What a lovely collection! Makes me want to start a bakery! Thanks! I know! They all sound so good and are so pretty too. I love this! I can make all of these using things I've grown. Now I need that noodle recipe! I can't wait to try some of these! Thanks for including my peach cake. I'm sure you'll love them all, Lori. Oh my goodness, Kathi. What a fantabulous selection of creating cakes with bountiful fruits =) P.s. Visiting via April's Hearth and Soul Party. Thank you so much for stopping by! Don't they all look fantastic? Thank you, Cristina - I agree! I love Angel Food Cake too - I need to make one again soon! Thank you so much for sharing this lovely collection of cakes with us at Hearth and Soul, Kathi. Well, April, eggs are plentiful and cheap in the spring, so go for it and enjoy! You tempt me! I'm trying to eat healthy right now, but each and every one of those look so delicious. The berries and apples make them all good for you, right? :) Thanks for sharing on the Waste Less Wednesday Blog Hop. These all look and sound great, but especially that strawberry chamomile cake! I make one similar to the spiced apple cake and it is SO GOOD! Thank you for the recommendation on the spiced apple cake! I'm really looking forward to making the strawberry chamomile cake, it sounds delicious. I hope you'll give one a try. How nice to still have a couple of pumpkins in storage.